(NICHOLASVILLE, Ky.) – Competing with a major championship across the pond is no small feat. You would think that with the British Open being played simultaneously at Carnoustie’s Championship Course in Scotland, the Barbasol Championship — played in little old Nicholasville, Kentucky — would be struggling to attract big name talent. That certainly has not been the case. The Barbasol field of 132 players represents multiple victories on the PGA TOUR. Former PGA Champion Davis Love III and his son Dru are here. Brittany Lincicome, only the sixth woman in PGA TOUR history to play alongside the men (Babe Zaharias, Annika Sorenstam, Shirley Spork, Suzy Whaley, and Michelle Wie) is also here. 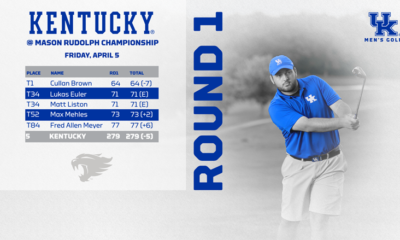 Most importantly for hometown golf fans, however, the tournament features Manchester, Kentucky native and former University of Kentucky standout golfer Chip McDaniel, playing in his first professional tour event. The golf course looks great,” McDaniel said after Tuesday’s practice round. “The facility looks great. I’m just ready to play.” Kudos to the tournament directors and staff for getting this par-72/7,328-yard Champions at Keene Trace course ready for an influx of talent never before seen on its fairways, hazards, and greens. Gallery ropes, public bleachers, and porta-potties abound. An eight-dollar beer and a six-dollar hot dog notwithstanding, Kentucky hospitality and ingenuity have transformed the grounds along Delaney Ferry Road into a bustling suburban village—complete with food venues, retail shops, and entertainment. Corporate signage reigns supreme, as sponsors galore look for maximum exposure and publicity. A massive fleet of Lexus SUVs has been shipped in to provide personal valet transport to every participating player. score. I don’t think I’ve ever had a problem doing that,” McDaniel added. The opening round starts off at with McDaniel paired with Cameron Beckman of San Antonio, Texas (a twenty-three-year tour veteran with three total PGA TOUR victories) and Andrew Yun, of Scottsdale, Arizona (a twenty-seven-year-old fifth-year pro still looking for his first TOUR win). At shortly after 10 am, under beautiful sunny skies, McDaniel’s professional golf career begins with a towering drive right down the middle of the fairway. His approach shot lands about twelve feet from the flag, and McDaniel — with older brother Todd as caddy, confidently nudges the testy putt into the bottom of the cup for a career opening birdie. WELCOME TO PROFESSIONAL GOLF! The rest of the front nine is a bit of a roller coaster ride for McDaniel, as family and friends cheer him on. At the turn, he finds himself one shot over par, with two birdies and three bogeys on his inaugural PGA scorecard. The par-4 12 th hole is arguably one of the most difficult holes on the entire course. You must drive it straight, or else you’ll end up in either a long sunken bunker on the left or a grove of tall locust trees on the right. Oh yeah, the green is also situated atop a significant slope, so you’ll have to carry the hole to have any shot at birdie. 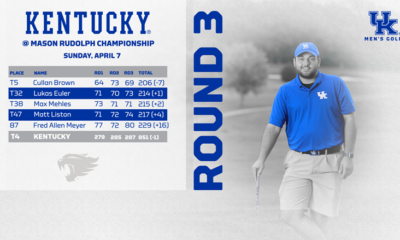 It’s no problem for McDaniel who, undaunted, hits the green in two and rolls in a thirty-one-foot birdie putt, bringing him back to even par for the round. From that point on, three straight bogeys dot his scorecard, but Chip predictably responds with the shot of the tournament so far on the par-5 17th. After flying his second shot into the greenside bunker, McDaniel skillfully holes his third shot for a crowd-pleasing eagle. Arms raised in jubilation, with his patented radiant smile, it’s a blessed, treasured moment he’ll carry with him forever—a memory he’ll undoubtedly be sharing with his grandkids for generations to come. For the day, McDaniel finishes (+2), for an opening round score of 74. With a few golfers still finishing up their round, he sits tied for 111 th place—but there’s still room to make up ground on Friday. Brittany Lincicome had an even tougher day, carding a six-over, 78. The Davis Love III/Dru Love father-and-son combo finished (-4) and (-2) respectively. 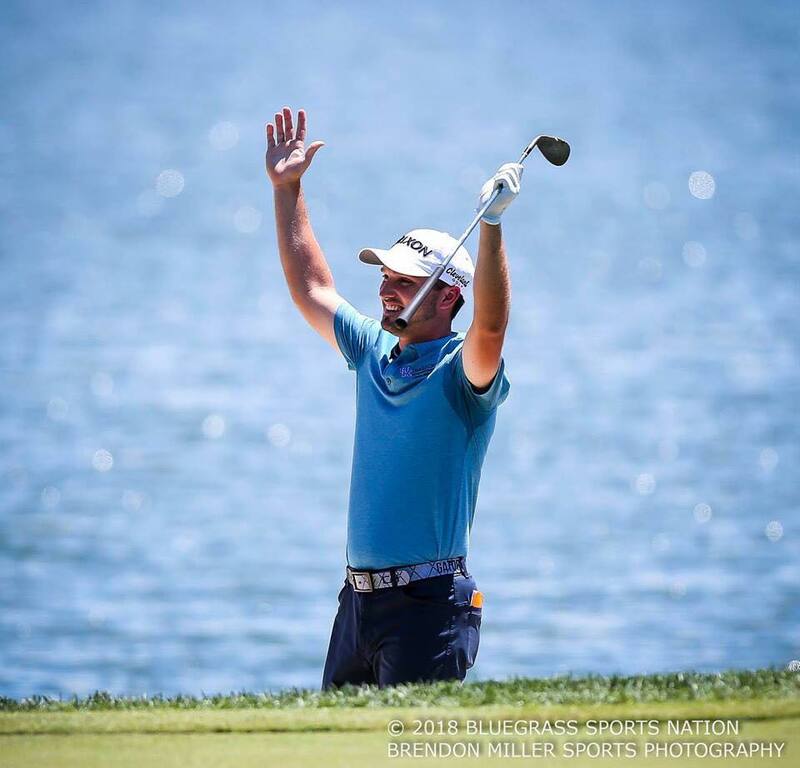 After one round of the Barbasol Championship, Troy Merritt sits atop the leaderboard at (-10). The thirty-two-year-old American smoked the course with eight birdies and an eagle for an opening round score of 62. That puts him three shots ahead of Andres Romero and Billy Horschel, who are tied for second place at (-7). Other opening round scores of note include Hunter Mahan (-6), Josh Teater (-4), Cooper Musselman (-2), Matt Atkins (-6), and Derek Fathauer (-2). For round two tomorrow, McDaniel was originally scheduled to tee off shortly before 3 pm. Due to the potential for inclement weather later in the day, all the start times have been moved up one hour. Brace yourselves everybody—the rain’s a comin’. For Chip’s sake, let’s hope it rains more birdies and eagles tomorrow. 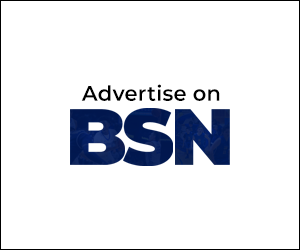 John Huang is a columnist for Bluegrass Sports Nation and Nolan Media Group. You can reach him on Twitter @KYHuangs.